The likes of Rosalie Craig, Owen McDonnell and Justin Edwards will join the West End cast of Jez Butterworth’s epic play The Ferryman in the New Year, it has been announced. With The Ferryman having extended its run for the third time at the Gielgud Theatre, Craig (As You Like It, National Theatre), McDonnell (Single-Handed, RTÉ) and Edwards (The Thick Of It, BBC) will be part of a new company which will give its first performance on 8 January 2018. Craig will play Caitlin Carney at the Shaftesbury Avenue-based theatre, months before she returns to play Bobbi in Company. McDonnell will play head-of-the-household Quinn Carney, and Edwards will play Tom Kettle. Also joining the company will be Stella McCusker as Aunt Maggie Far Away, Siân Thomas as Aunt Pat, Declan Conlon as Muldoon, Dean Ashton as Frank Magennis, Terence Keeley as Diarmaid Corcoran, Sean Delaney as Michael Carney, Francis Mezza as Shane Corcoran, Kevin Creedon as JJ Carney, Laurie Kynaston as Oisin Carney and Saoirse-Monica Jackson as Shena Carney. Catherine McCormack will continue in her role as Mary Carney, as will Charles Dale as Father Horrigan, Mark Lambert as Uncle Pat and Glenn Speers as Lawrence Malone. As previously the full company comprises 37 performers: 17 main adults, 7 covers, 12 children on rota and 1 baby. 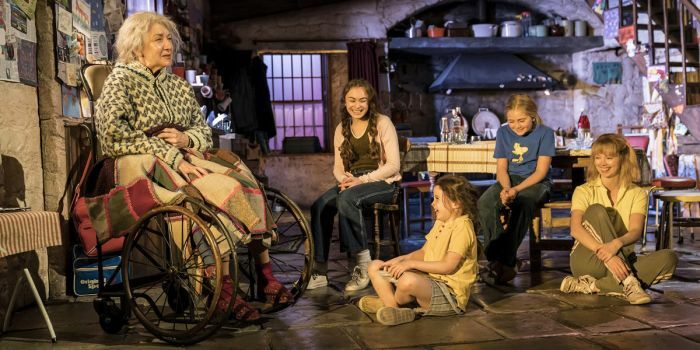 The Ferryman, directed by Sam Mendes, will run at the Gielgud Theatre until 19 May 2018. The production won widespread critical acclaim when it opened at the Royal Court and was the fastest selling show in the theatre’s history. This phenomenal success has continued at the Gielgud Theatre where it has been playing to sold-out houses, and the play has been nominated for four honours at this year’s Evening Standard Awards. Book your The Ferryman tickets today!